History Marching right before Your Eyes.! This helps everyone get into the true spirit of Christmas. Most shops and caterers stay open well into the evening, and then when the night cometh, a mighty parade of people assembles at castle square, torches are lit. 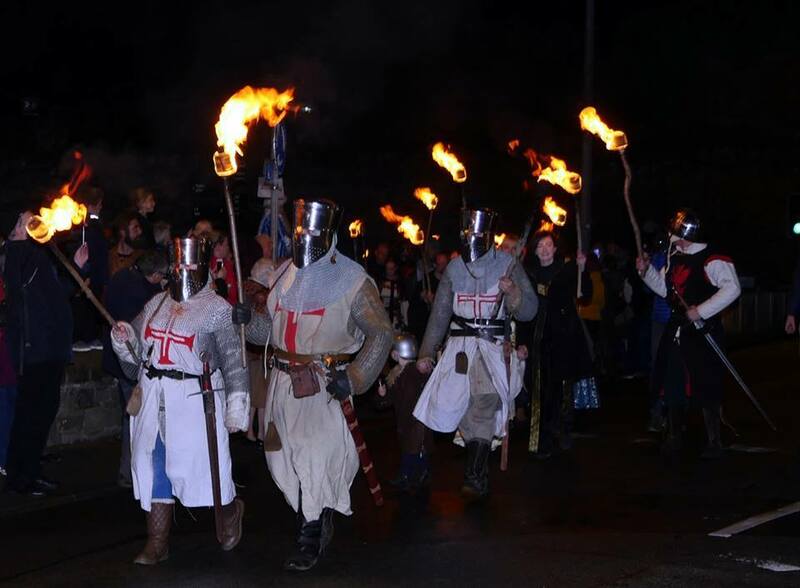 Then a parade led by a jester and followed by scores of brave knights carrying flaming torches will proceed down the street through to the town square. There will be appropriate snacks such as chestnuts and other attractions. The event takes place in this wonderful medieval town which is the ideal place to do something festive this Christmas season.